Finding the right fit with a business partner can oftentimes be a challenge. This is particularly true in the healthcare world, where a mismatch in choosing a vendor has the potential to cost lives and millions of dollars in the process. You don’t leave the health and well being of your patients to chance, and the team at PCC doesn’t either. Quality, reliability and service are the cornerstones of the relationships PCC has built with its lab partners, and those qualities are passed along directly to our clients. PCC understands the frustration clinicians have when needs are unmet and can help you source a laboratory to ensure that these problems won’t rear their ugly heads again. Just like our customers, PCC is dedicated to improving the safety and quality of life for patients, while protecting physicians and increasing their office efficiency. By clicking the Get Started link, your team can begin a comprehensive, no-obligation discovery process where your needs and goals are discussed in depth and your team can learn more about how PCC can provide you with tangible benefits. The opioid addiction and overdose crisis in this country, sadly, continues unabated. The provider community is all too aware of the devastating impact this situation is having on countless communities. The team at PCC understands the urgency with which this epidemic must be tackled and has partnered with laboratories that recognize the important role testing can play in addressing critical clinical needs. The human factor in panel analysis is key to ensuring the most accurate reporting possible for toxicology. Automated processes allocated to Liquid Chromatography/Mass Spectrometry (LCMS) [“confirmation”] normally delivers only 85% accuracy, but inserting human expertise into the equation dramatically improves accuracy. PCC’s lab partners in the toxicology space are committed to assigning scientific expertise to accentuate standard automated toxicology processes. PCC’s toxicology lab partners further understand that the same fiscal responsibility practiced in the clinical laboratory world must be applied in the toxicology lab space, which in turn provides the stability afforded by reasonable and consistent margin performance. Providers prize their ability to accurately diagnose conditions and properly treat their patients. Hit or miss approaches don’t cut it in the clinical world, and the same can be said for PCC’s partners specializing in Pharmacogenetic analysis. By using a non-invasive saliva specimen or oral swab, providers can identify the genetic profile which may impact a patient’s response to prescribed medications. By uncovering a patient’s unique physiology and DNA roadmap, safer and more efficient drug therapies can be prescribed, better clinical decisions can be made, chronic conditions can be managed more effectively and your patients can begin feeling better a whole lot faster. Inherited mutations in your patient’s genes can play a significant role in as much as 10% of all cancers. PCC has proven relationships with several specialty testing labs, which can test your patient population’s predisposition for numerous cancers, including: Female breast, ovarian, and other cancers, including prostate, pancreatic, and male breast cancer. 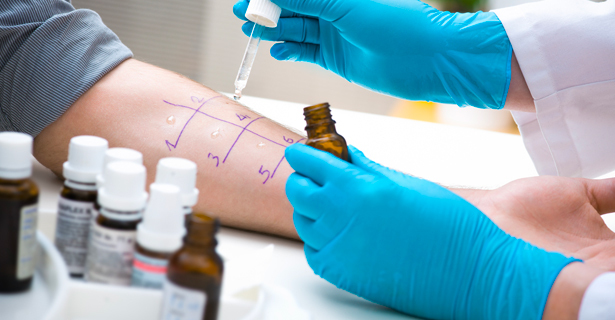 With as many as 50 million Americans suffering from some type of allergy, getting a solid handle on your patient population’s specific needs can play a significant role in improving overall health of your patients. A vital first step in any healthcare matter is proper diagnosis, and PCC will uncover your needs and connect your practice with the lab best suited to meet your needs in this critical area of front line care.